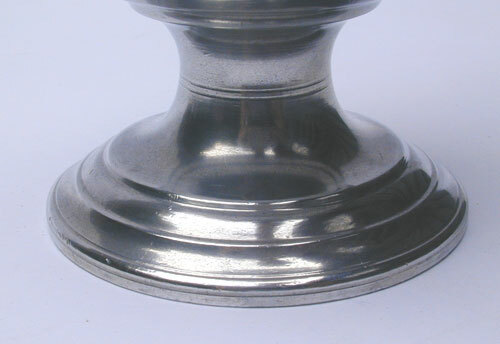 This unmarked Calder pewter chalice measures 5 11/16" tall. 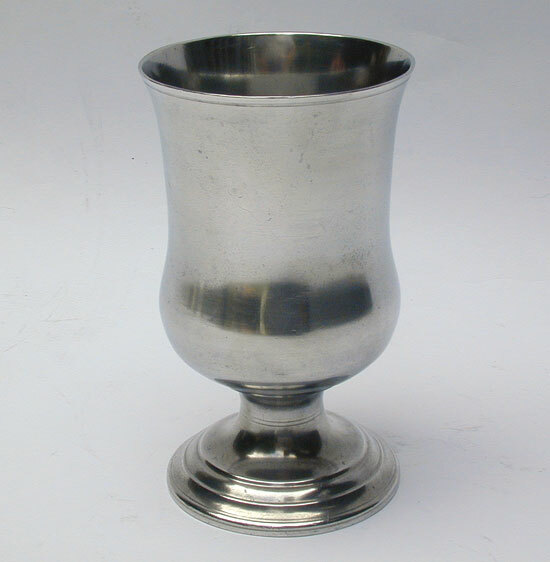 The chalice is the one known design this pewterer used for chalices. The chalice is in fine condition. 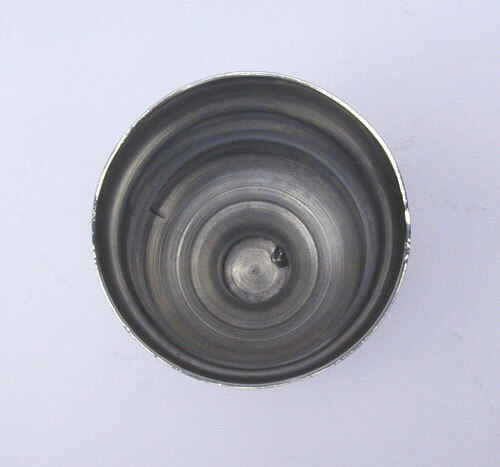 There is one interior stress crack that was present when it was manufactured. 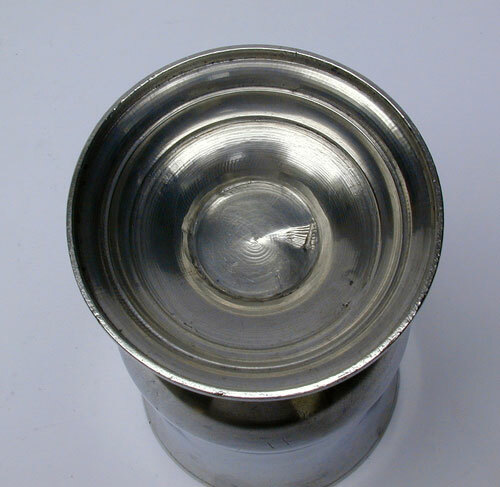 The pewterer soldered this crack prior to the lathe finishing operation.